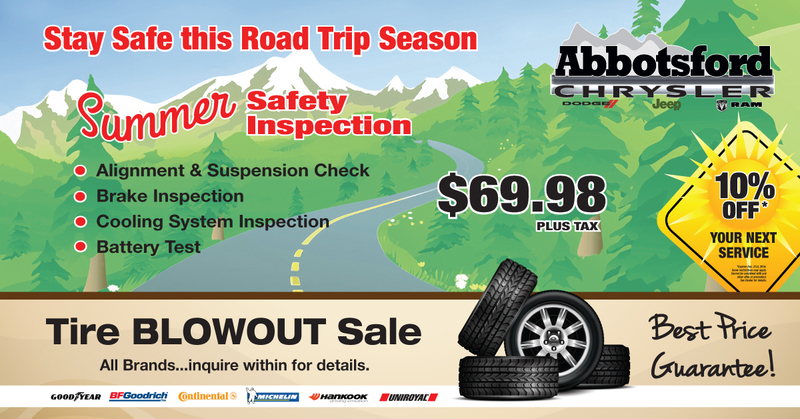 Auto Repair Specials Abbotsford @ Abbotsford Chrysler BC. We understand that saving money and keeping your vehicle in top condition is not always an easy feat. At Abbotsford Chrysler, we want to make servicing your vehicle as convenient and economical as possible. Check out our Service Specials for our clients to save big on service and vehicle maintenance. See our current deals below and check back often for updates on new specials!